Following a successful amateur career, the New York City born Braddock turned pro in 1926. Behind a solid right cross and wins over Pete Latzo and Jimmy Slattery among others, he met light heavyweight champ Tommy Loughran in 1929, dropping a 15-round decision. Following the loss to Loughran, Braddock questioned his abilities and dropped a string of decisions to the likes of Maxie Rosenbloom, Leo Lomksi, and John Henry Lewis. 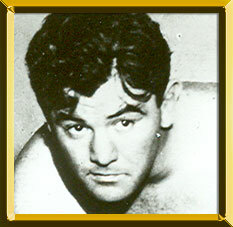 With his investments wiped out by the stock market crash of 1929, Braddock was down on his luck in and out of the ring. That changed in 1934 with upset wins over Corn Griffin and John Henry Lewis setting up a shot at heavyweight champion Max Baer. On June 13, 1935, the 10 to 1 underdog Braddock became "The Cinderella Man" when he outboxed Baer to win the heavyweight title. Braddock lost the title to Joe Louis via 8th round KO and retired after a win over Tommy Farr in 1938.